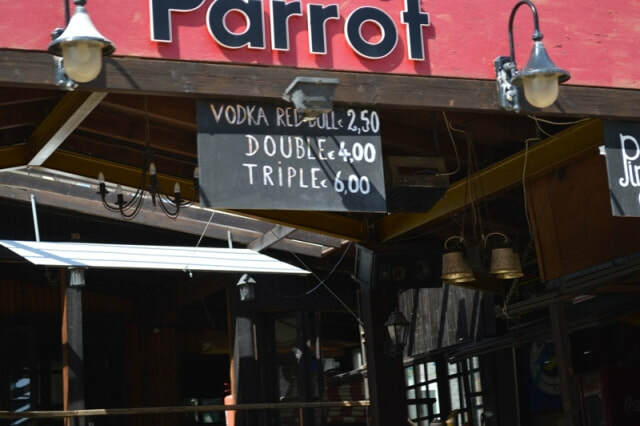 The Rat and Parrot Bar is located on the main strip in Ayia Napa, Ayias Mavris. It is open from early evening through to the early hours and operates from April through to November. 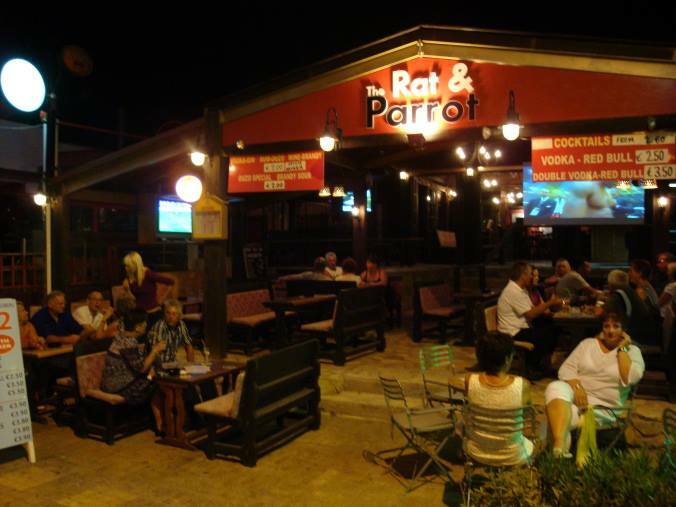 The Rat and Parrot is an older style bar with wooden furnishings and it shows sporting events and popular UK TV shows on big screens. 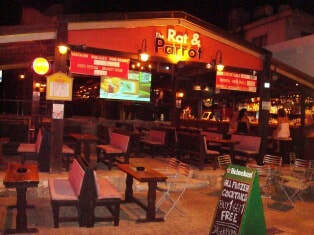 The closest hotels to Rat & Parrot Bar are Millies Apartments and Cleopatra Apartments. Other bars in the same area as the Rat and Parrot are Taffy's Bar and Craigs Bar.